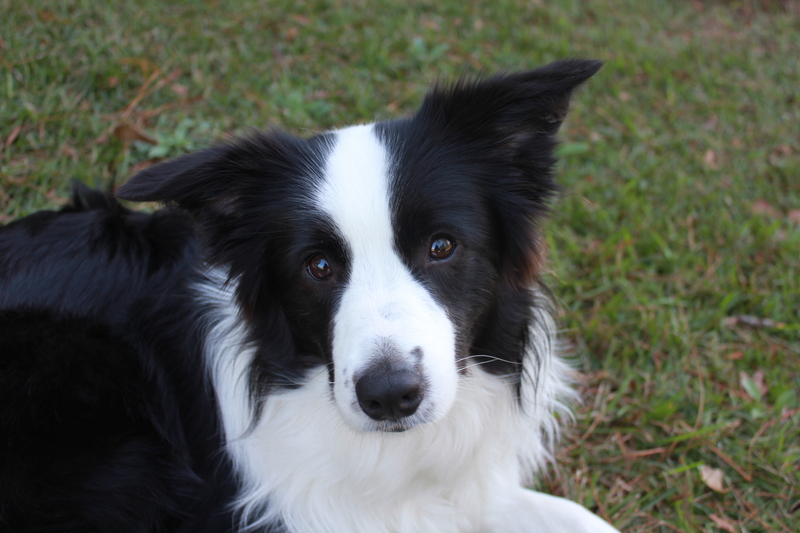 Tomorrow marks Bodie’s birthday, born thirteen weeks ago, no doubt on a sultry, hot day. A month ago he came into my house. Already I’m lamenting how fast he’s maturing. He’s making huge strides in his house training, still making mistakes, but they are occurring less and less as our schedules come together. Today while he was running on a long line in the back yard, I was able to put the line down while I took pictures. He hung out in the shade with the other dogs with no problems. It came to me that sometime this winter he will be able to run loose with the pack, find his place with them, and too quickly, he’ll be an adult. For all my moaning and groaning about the extra work of bringing a puppy into the household the time is passing way too fast. Bodie is a fast learner, if he balks at something new he recovers quickly. In formal obedience training he has been introduced to heeling (with a cheese lure), play recalls, sit/drop/stand, Utility go-backs and scent articles, touch, push, spin and twist, and toy retrieving. The sessions only last fifteen minutes but he follows me around the building for more and more. He has a great attitude and of course, at this age everything is set up to be fun and positive for him. Some of the behaviors seem to take forever for young dogs to learn and then one day they do it with no problem. I read a long time ago that there’s a reason dogs learn something in the beginning and then one day seem to act like they’ve never heard the command before. It’s because the behavior is going from short-term memory to long-term memory. I don’t know if that’s an old wife’s tale but I’ve seen it happen over and over. Woe to the person who hasn’t seen the transition and enters their dog into a dog show. Handlers often get a “blank stare” from the dog because the behavior wasn’t engraved in the dog’s long term memory, plus dogs don’t generalize well. The behaviors my dog offers in my training building may not necessarily occur in an environment where there are strange dogs, groomer’s blow dryers and a blaring loud-speaker. Again, I’ve been turning to my favorite dog book, “The New Knowledge of Dog Behavior” by Clarence Pfaffenberger. 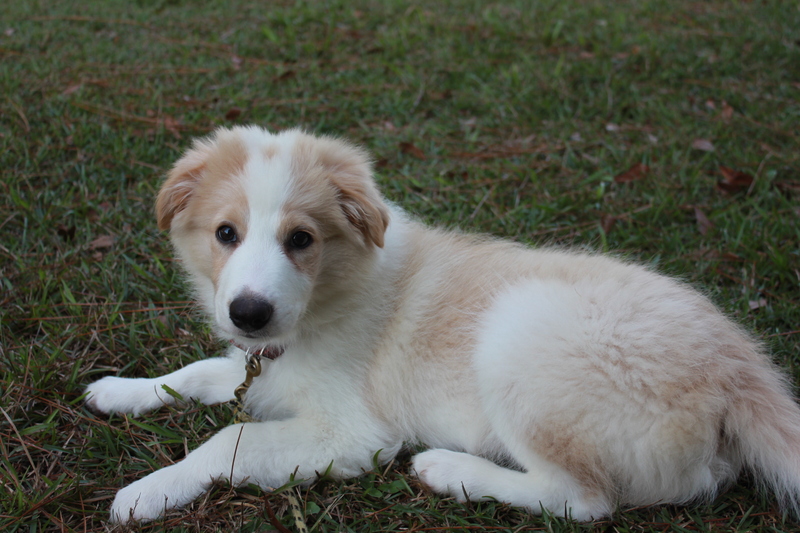 According to Pfaffenberger, at twelve to sixteen weeks of age Bodie is in the fourth critical period of socialization. “Serious training can and should be started-a transition from play-training to disciplined behavior”. His book continues on with the necessity for early socialization, a period that can never be made up later. In the old days puppies were allowed to be puppies, free spirits and untrained, until they were six months of age. Even know some people still believe that’s true and come into pet classes with dogs that have been allowed to be destructive, wild and not housebroken. Yet training can and should start the moment the puppy enters his/her new home. By training I do mean playing, walking, socializing, pottying outside, walking on a leash. Yes, it’s a full-time job, a good reason to adopt a retired show dog. They are trained and bomb proof. Tommie is the only animal in my house that has not adjusted to Bodie. But I see her ever so slowly go from growling, (never biting), to allowing the puppy to come closer and closer to her. I suspect the puppy’s lack of dog to dog signals confuses and scares Tommie. But she is getting there. In time. Plus I can always tell where Bodie is in the house when loose by Tommie’s low growl. I’ve witnessed Bodie turn away from Tommie when he sees a curled lip but try to play with her outside. Puppies are little good-will ambassadors, offering peace and play, yet not understanding the concept of being unwelcome. It is not something where I can intervene. They need to work it out between them, which they will, especially since this pack of four is now solid, no more new dogs. They are now the four Amigos. 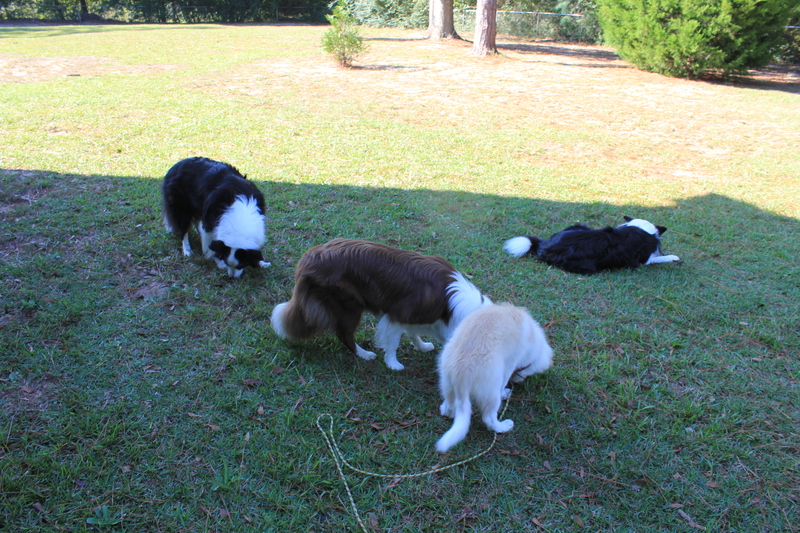 This entry was posted in border collies, Dog training, Puppies and tagged Border Collies, dog obedience, Dog training, Puppies, The New Knowledge of Dog Behavior. Bookmark the permalink.